Last week I had been craving for something a little spicy. I didn’t really fancy making a curry but thought I’d make it a Mexican night in our house. Before we had kids, I used to make Chicken Enchiladas for hubby and myself but have never ever done another one ever since we had kids. Wow, that’s almost like a decade ago. You see I had been quite lazy to make some. I know there are some good Mexican restaurants in our area which are all reasonably priced so I never bothered to make our own homemade version. When we went to the grocery the other day I found this gluten free brown rice tortillas and seeing that inspired me to make enchiladas that hubby can enjoy. If you don’t know yet, hubby is on gluten free diet as anything with wheat doesn’t agree well with his constitution. Besides if I made it I could also satisfy my craving for something tasty with a spicy kick to it. It turned out I didn’t have any Chili powder to make my enchiladas when I wanted to make it but thankfully I found some Cayenne pepper in our spice shelf. I added just a little bit of it plus some ground cumin and then this flavorful enchiladas came into being! Feel free to use cayenne pepper or substitute with chili powder if that is what you have. Adjust the heat level to your liking. Enjoy! 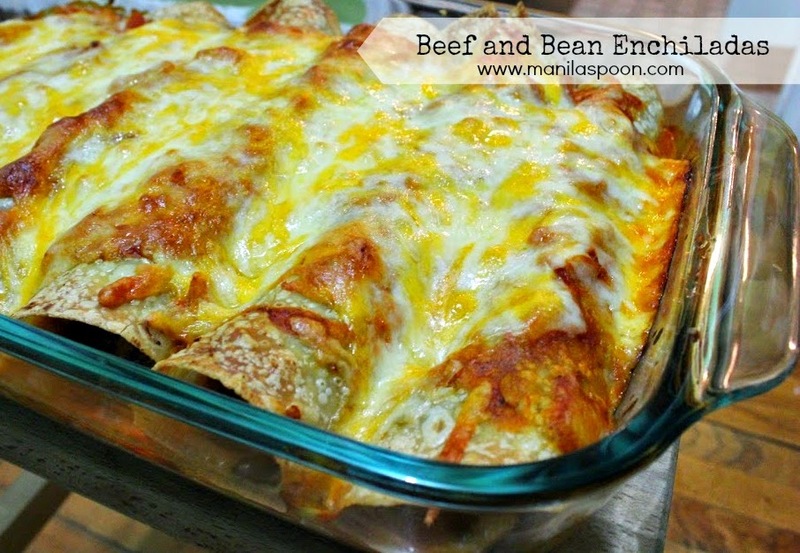 Hearty and delicious is this homestyle Beef and Bean Enchiladas that my family enjoys! You’ll keep coming back for more. *You can replace the cayenne pepper with Chili powder but definitely increase the amount to your taste preference as it’s not as spicy as the cayenne pepper. Heat the oil in a large pan or skillet. Add the ground beef and cook until it changes its color. Season with a little salt and pepper to taste. Stir in the ground cayenne and cumin and continue to cook for another 2 minutes. Place in a large bowl and mix in with half the cheese and the pinto beans. In the pan where the beef was cooked, pour the remaining olive oil and heat up. Saute the diced onion and cook until soft. Add the tomato sauce, tomato paste and chicken broth and let simmer for 10 minutes, stirring occasionally. Stir in the sour cream. Add 1 cup of the onion and tomato sauce into the ground beef mixture and pour and spread another 1 cup into a 9 x 13 baking dish. To soften the tortillas for easy rolling, I simply heat them up in a large skillet or frying pan (like a dry fry) very quickly (just several seconds) until they are pliable.You can also use the microwave to do the work (but I don’t have one so I do things manually which is fine for me). Place about 3 heaping spoonfuls of the ground beef mixture into the warmed up tortilla (if using large tortillas that’s the amount so adjust the quantity if using smaller ones). Roll and place into the baking dish with the seam side down. Repeat with the remaining tortillas. Drizzle the rolled tortillas with the remaining sauce and sprinkle with the remaining cheese. Cover the dish with foil and bake until bubbly and fully heated through about 30 minutes. Let stand for a few minutes. Enjoy heartily! 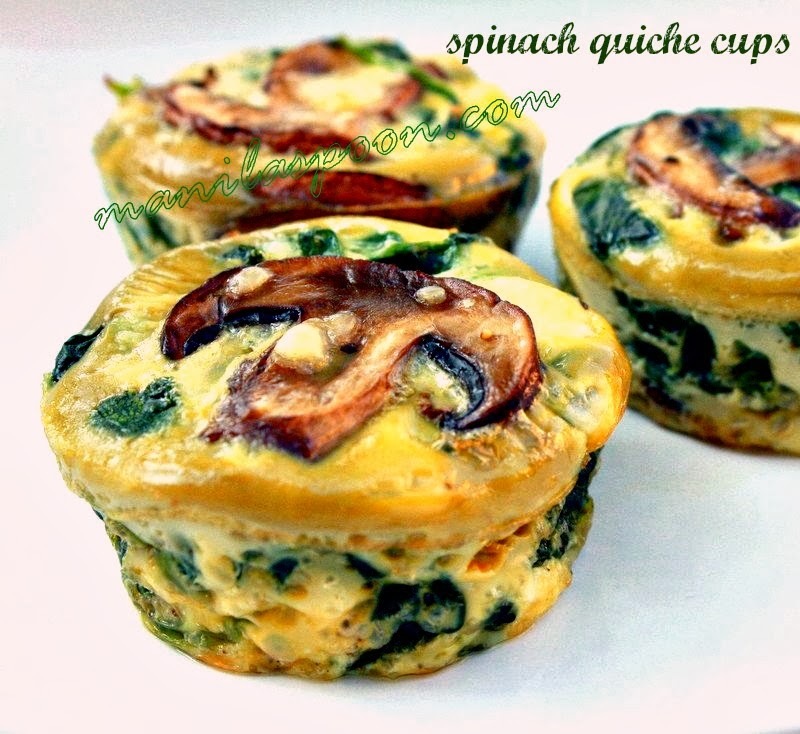 If you wish to print the recipe, you may click on the “remove images” box for easy and convenient printing. If you like what you see and would like to receive new recipe updates, we’d love you to subscribe to our posts or join our site. Needless to say, we’d love you to like us on Facebook or follow us on Pinterest where you can get more recipes and updates. Thanks and happy browsing! That's some cheesy baked goodness! I am a big believer in adding beans to anything mexican. I want beans IN my tacos, not beside them. These look so good! This looks wonderful! 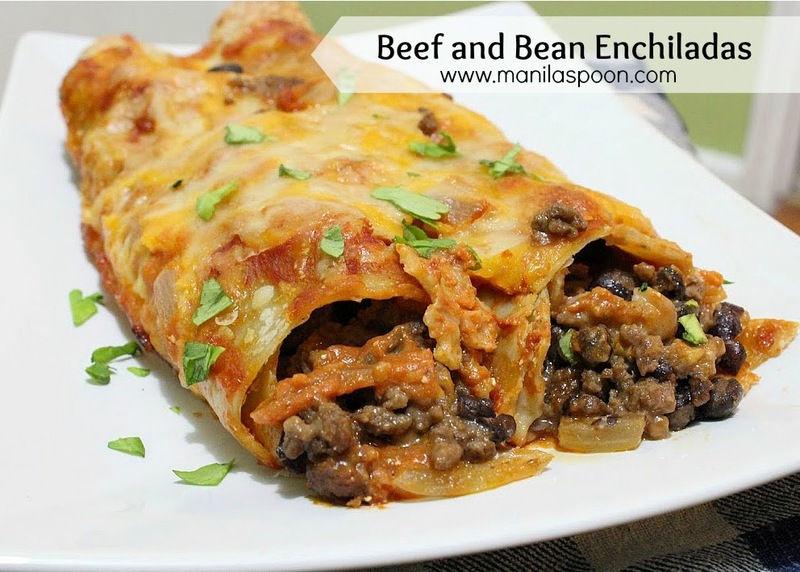 I love beef enchiladas. Saving for later! What a simple and lovely version of enchiladas – without the heavy and salty sauces that make me feel so bloated afterwards. And this recipe looks as though one could whip it up in just a few minutes. Bravo! A weeknight dinner recipe I can really use. Wow! You just made my day. I haven’t done this in a long time but thank you for reminding me. It is truly delish and so glad you enjoyed this!